If there was ever proof needed that model railways can be very imaginative, this depiction of Middle Earth is definitely it! 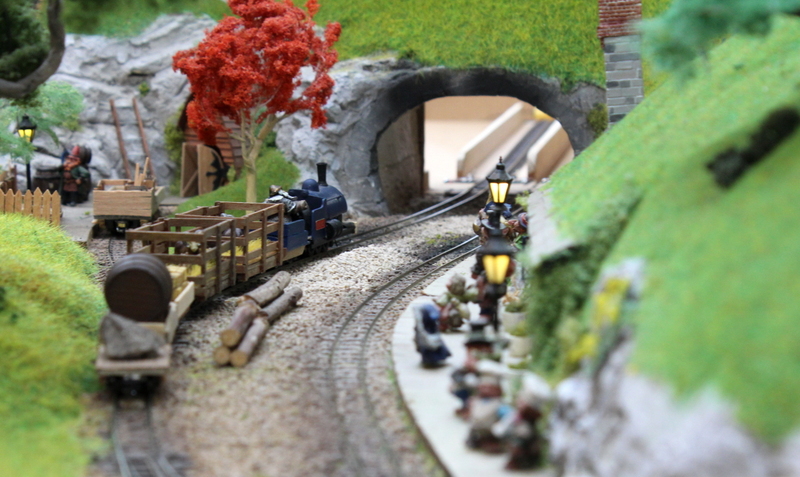 Hobbiton End is a fantastic narrow gauge branch line built by Simon Addelsee. It is set some 50 years after the Lord of the Rings novels of JRR Tolkien (and subsequent film adaptions), with the premise that the Dwarves developed railways for their mining exploits. Fantasy layouts are fairly rare on the UK exhibition circuit and this made for an interesting sight at Romsey this year. Although rare in character, this layout was well thought out and stuck with its theme throughout. 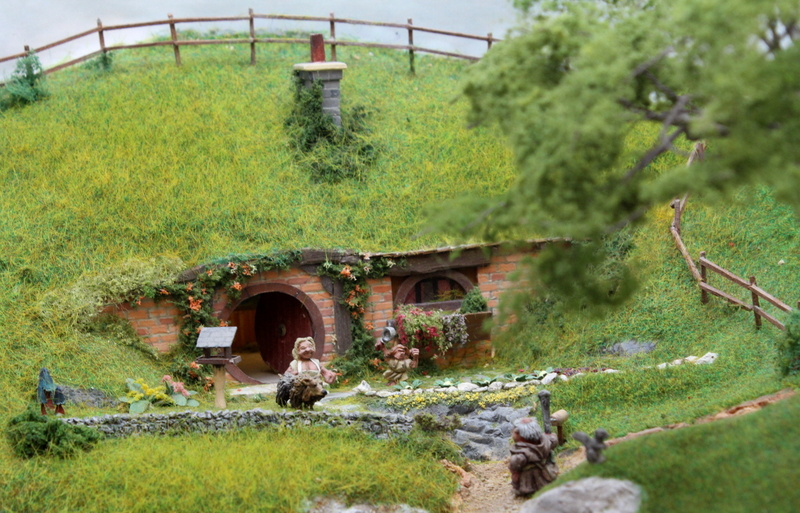 The many details, characters and even the type of freight all screamed out Hobbiton! If you like these pictures, be sure to check out the layout as it tours the exhibition circuit. Finally someone has done this!